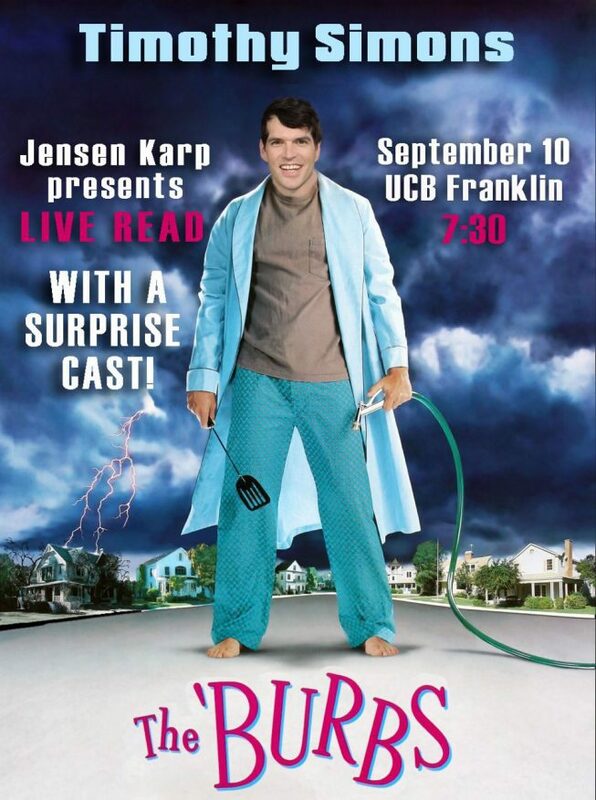 Join me on Sept 10th, at 7:30 PM, at UCB Franklin for the newest Live Read show! We’ll be reading the script of my favorite movie, The ‘Burbs, with Veep’s Timothy Simons as Tom Hanks. He’ll be surrounded by a surprise cast and it’ll be fun. CLICK HERE for tickets. Brought back the Live Read show to UCB for some time with an early script of She’s The Man. The cast included Lauren Lapkus as Amanda Bynes, Paul Scheer, Danielle Fishel, Drew Tarver, Rebecca Black, Brian Logan Dales and many more. Keep your eyes open for the next Live Read on August 10th to pop up on the UCB website. They sell out fast!